Give away an extraordinary experience to someone you like. 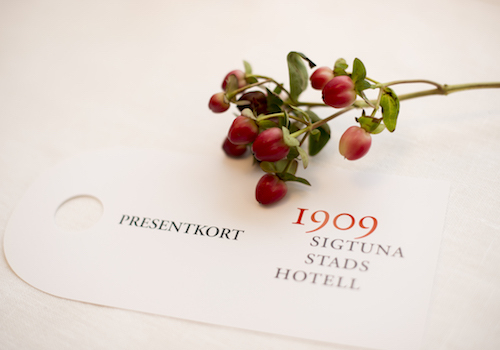 At Sigtuna Stadshotell we tailor the gift card to your wishes. Choose a fixed amount or ready packages or created your own. With our specially designed gift cards comes a beautiful brochure to give away. Here is something for everyone. Christmas presents, birthday presents, wedding gifts, etc. Below are some tips on popular packages. An overnight stay in Scandinavian designed double room with Champagne & homemade chocolate in the room upon arrival. Bathrobes, slippers and luxury Molton Brown products are included in the room. seatings, between 12:00 and 18:00. For dinner, a 5-courses menu or free of choice from 1909s à la carte. Menu inspired by the season, can be combined with a accompanying wine package. Invite a day trip to the picturesque Sigtuna for two or more. The package can be included 1-3 courses menu with or without drinks. Traditionally, loose tea is brewed in a teapot and served in teacups with milk and sugar. This is accompanied by sandwiches, scones with clotted cream, jam and lemon curd, cakes and pastries. The food is often served on a tiered stand. A formal, proper afternoon tea nowadays is usually taken as a treat in a hotel, café or tea shop. 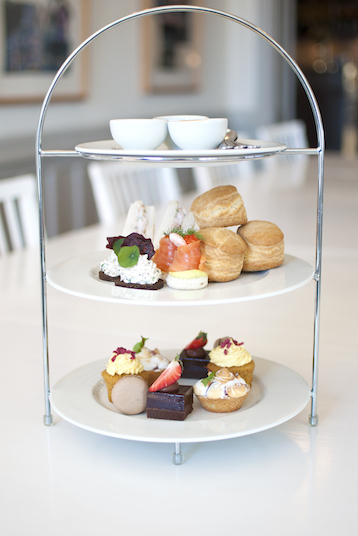 Afternoon Tea is served between 12 am to 6 pm Friday and Saturday in the lounge. During the weekend we offer beneficial treatments of all its kind. A guided tour in Sigtuna City, Sweden’s first town, can also be included in The day package. The gift card will be delivered by mail within approximately 3-4 days.